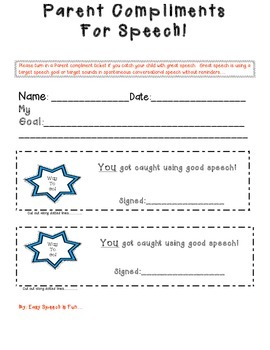 These are compliment tickets from Teachers and Parents for students to have filled out and return for rewards or praise... They are a fun and motivating way to inform and communicate goals with other staff and parents. Kids love to see progress. These simple things can suddenly increase carryover. 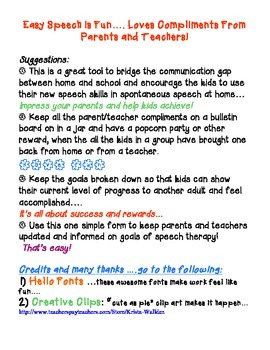 That's always been a challenge for the speech therapist! 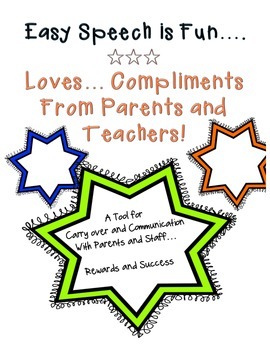 Have a party after everyone has returned a compliment ticket!